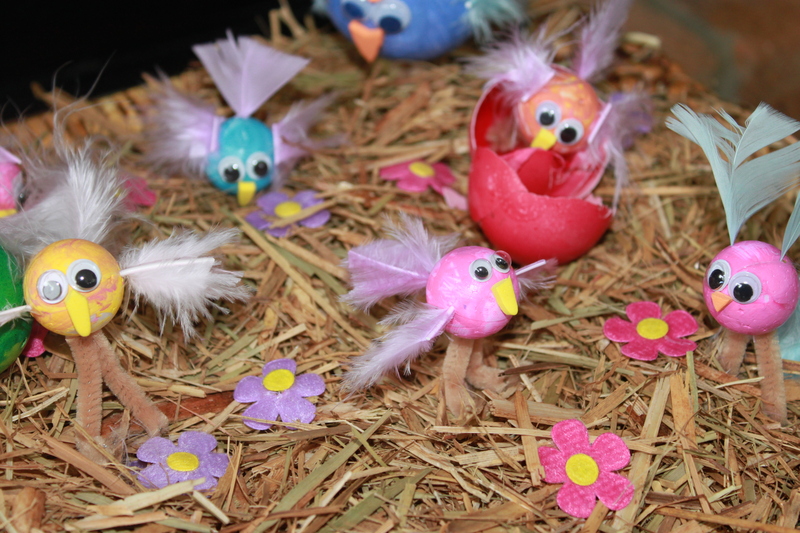 Easter Craft, Cute Little Chicks. Another very wet weekend has resulted in craft overload in this house. Today we made some little chickens. We will call them Easter Chicks, but they could really just be birds and would still be just as cute! All we used was some small styrofoam balls, paint, google eyes a pack of feathers and a few different glues and double sided tape. Oh, and some of those pre stuck felt shapes. 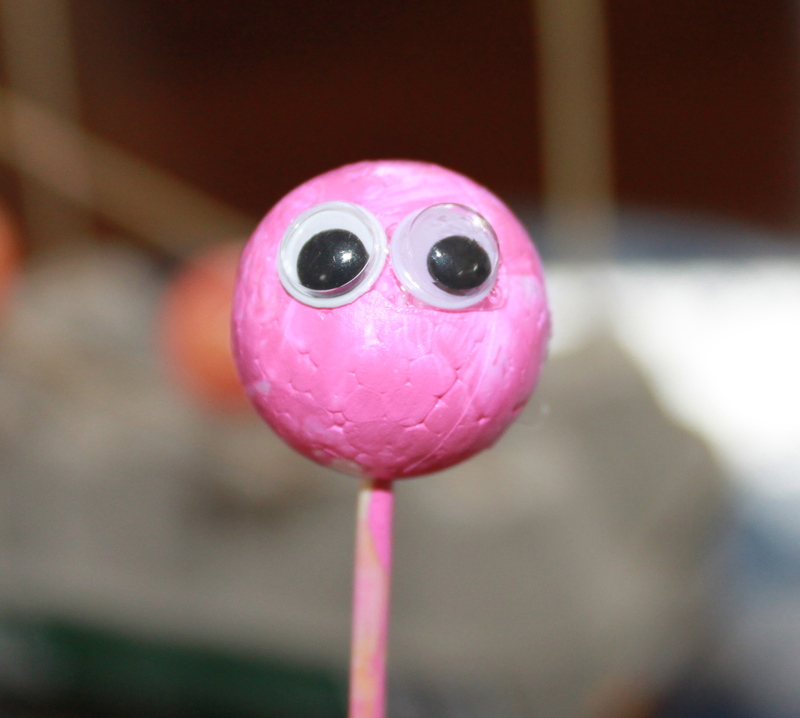 First we put the balls on a skewer to hold them up to paint. The paint, like everything at the moment, took forever to dry, even under the ceiling fan. Then we added the eyes and beaks. It was a bit of trial and error with the glue, as some glue dissolves the styrofoam. But we got there eventually, with some scrap booking glue. For the beak, we just cut off petals from a foam flower sticker (which you will see further on). We used several different methods to make the wings. For thicker wings I folded over a feather from the centre, and secured both sides together with some double sided tape. This worked well, but was a lot of fiddling around and you could see the tape through some, which I was not happy with. Others I just cut away one side of the feather, to make it more a wing shape. Then for the crazy birds I just stick the feathers straight in the side, to make them look like they were running. Way cute! Twisted some pipe cleaners to make legs and we were done. Ms 4 wanted to make a nest for them, so I grabbed some sugar cane mulch and let her build one outside, she then sprinkled a few flowers around which I thought was a great idea, so told her to get more. 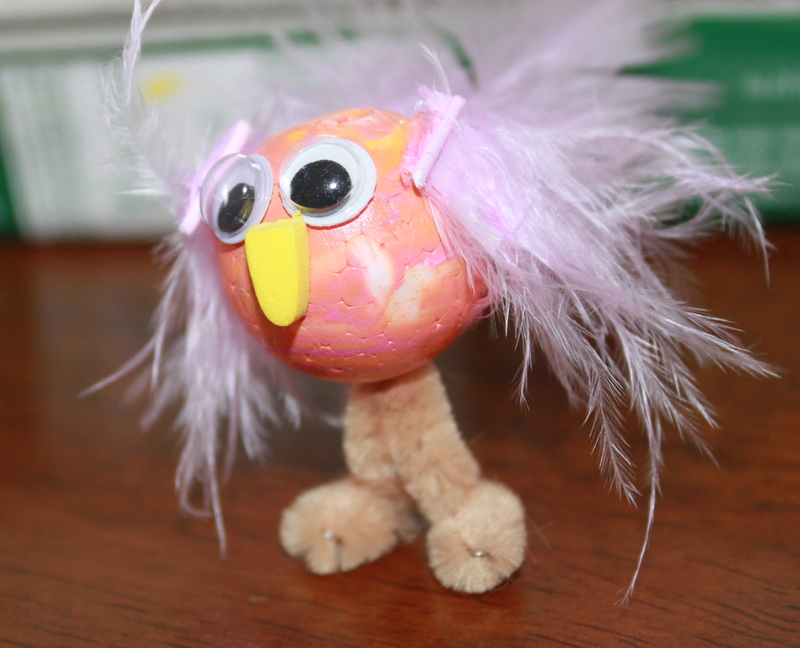 The coloured eggs are from another project we did this weekend, I will post more on them tomorrow. They finished it off nicely though I think. Ms 4 putting glue on for the eyes. Make some legs from pipe cleaners. Mr 2 and Ms 4 playing with the chicken family.